I am a Consultant Psychiatrist working in the NHS and private practice. I am experienced in treating the full range of mental health problems. I can assist and report in a variety of medico-legal matters. Dr Dineen sees patients in rooms at Suffolk House in Wooburn Green, near High Wycombe, Buckinghamshire, or in your home or care home if necessary. She has a caring and empathic approach, combined with years of expertise in assessment and treatment. Appointments will be arranged in a timely manner following referral. Memory problems including dementia – this includes assessment and diagnosis of memory disorders, treatments and link to current relevant research trials including new treatments. Dr Dineen studied medicine at University College Cork, National University of Ireland. Her interest in the field of psychiatry began as a medical student- she was awarded the gold medal in psychiatry as an undergraduate. She achieved multiple honours at university, graduated second in her year, and was awarded Title of College Scholar and College Scholarship during her time at University College Cork. She undertook basic specialist training in psychiatry in the Dublin University Rotational Training Scheme in association with Trinity College Dublin. She gained her Membership of Royal College of Psychiatrists on first attempt and also gained a Diploma in Psychological Medicine. She was Lecturer in Psychiatry 2002-03 at Royal College of Surgeons in Ireland Medical School. She undertook higher specialist training in Oxford from 2003 -2007 and was appointed as a Consultant Old Age Psychiatrist for Oxford Health NHS Foundation Trust in 2007. She holds Certificate of Specialist Training in Old Age Psychiatry, Adult Psychiatry and Liaison Psychiatry. 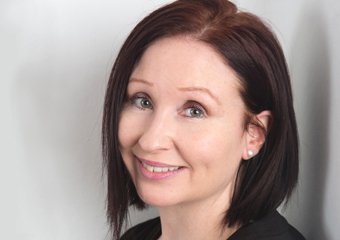 Dr Dineen is married with two children and lives in Buckinghamshire.